Over time, people have developed a variety of ways to cope with heavy snowfall, to travel on or through snow, and to stay warm during snowy weather. Snow is very reflective, and long-term exposure to snowy expanses can cause snow blindness, which is like a sunburn to the eyes. 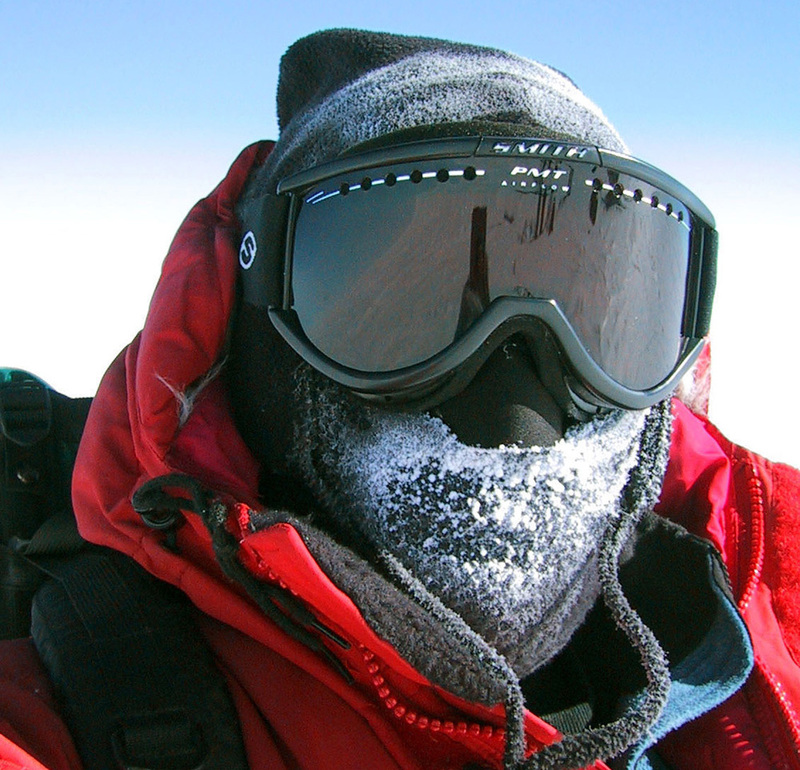 Consequently, people who live and work in snow regions need to protect their eyes. 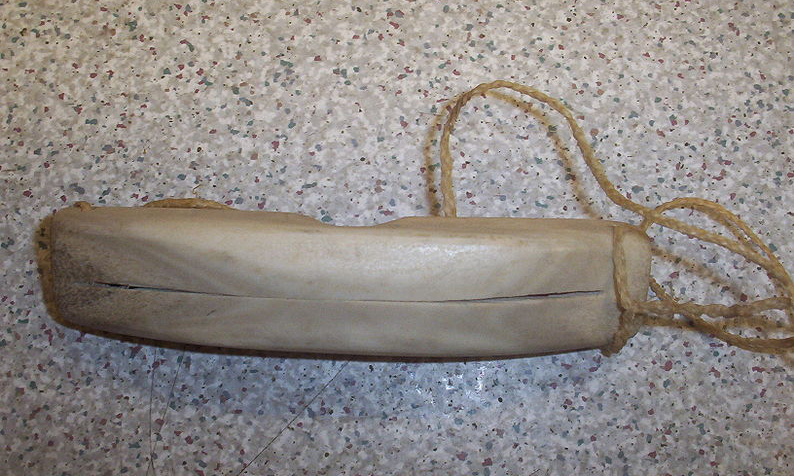 Traditional Inuit goggles (above) are carved from caribou antler and strapped onto the head with caribou sinew. Modern snow goggles (below) rely on plastic and foam to shield the wearer's eyes. 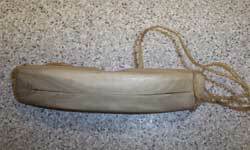 Many Arctic and Indigenous peoples have depended on snow for their livelihoods for thousands of years. Because of their long association with snow, Indigenous peoples have developed a deep and complex understanding of snow processes. For instance, Inuit hunters can navigate a seemingly featureless landscape by observing which direction the wind is drifting the snow. Saami reindeer herders in northern Europe constantly monitor changes in snow conditions so their herds can find areas to graze in a variety of different snow types and snow depths. Indigenous peoples often combine traditional knowledge with modern technology, such as snowmobiles and Global Positioning Systems. Forecasting snow helps commuters and city dwellers prepare for poor weather conditions, and also helps cities plan snow removal efforts. Snow forecasts are better than they used to be and they continue to improve. However, snow forecasting remains a difficult challenge for meteorologists. One reason is that for many of the more intense snows, the heaviest snow falls in surprisingly narrow bands that occur on a smaller scale than observing networks and forecast zones can see. Also, the extremely small temperature differences that define the boundary line between rain and snow make large differences in snow forecasts. Because many cities rely on snowmelt to replenish reservoirs and water supplies, water managers try to assess the amount of water that a winter's snowpack might produce. 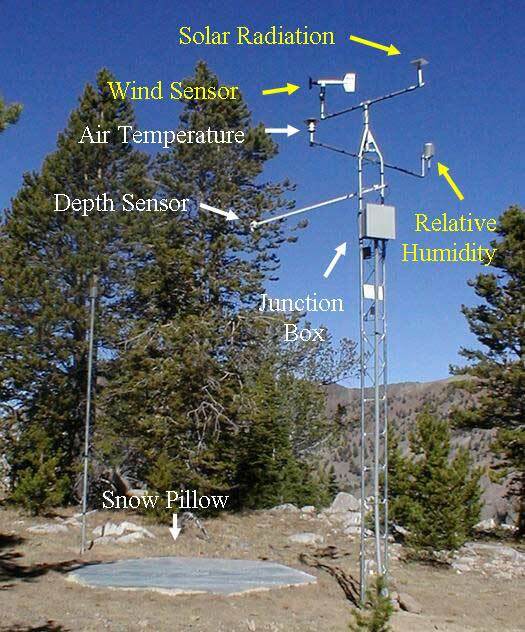 To measure snow water equivalent, researchers and watershed experts use a variety of instruments and methods. The resulting measurements enable water managers to estimate how much water will be available to downstream cities after the spring snowmelt. Funagata, a farming community in Japan, receives heavy snow each winter and also endures hot, sticky summers. City officials began to wonder if they could use the abundant snow as a clean energy source to help keep farm produce cool throughout the summer. The city began experimenting with snow-cooled storehouses for preserving food, and has successfully developed cold storage for rice and fruit. Officials are also experimenting with snow-cooled air cooling systems that could be used for buildings and residences.